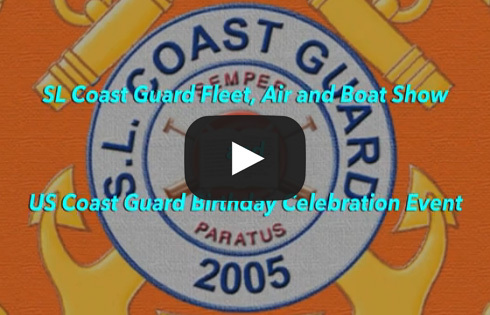 On behalf of the members of the SL Coast Guard, headquartered in the virtual world of Second Life®, I welcome you to our website. We are an international group of people, from all walks of life with a single common factor; the enjoyment of safe boating. Our goal in the various virtual worlds is to teach those interested, real life safe boating courses from within the virtual world. Whether Sailing, PWC or motor boating is your thing, knowledge of safe boating practices is an important thing to have. Our secondary mission is to assist any land owner with water access in the setting up, education and maintaining of a proper “Aids To Navigation” system. Our goal is to one day have proper ATON systems in place throughout the virtual worlds. Please feel free to browse around and explore. Informational and Educational videos will be updated as regularly as possible. DISCLAIMER: The SL Coast Guard is not part of, approved by or recognized by any World body, Government, Corporation, Company, group or individual. All content on this site was collected from various open public sources of the internet. Even though we can teach safe boating skills, it is your responsibility as an individual to obtain proper safe boating skills from official local sources.